Finally! We discovered a way at Flour Farm to make a gluten free, soy free, non-stick baking Goop, (or non-stick spray,) that works like a pro without changing the flavor of our food. Missing from this recipe – nasty bits of STUFF that may potentially be harmful and challenging to pronounce. Oh- and Goop only has three ingredients: oil, liquid sunflower lecithin and vodka. The vodka burns off during the baking process, so you will not taste nor feel any effects of the alcohol. Goop is crazy easy to prepare! 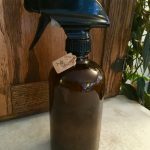 Oil (we use avocado oil) and lecithin are added to a spray bottle in a ratio of 1:1. So if you add two fluid ounces (59 ml or 1/4 C) of sunflower lecithin, pour in two fluid ounces of oil. For every four ounces of mix, add 1 tablespoon (15 ml or .5 oz) of vodka. The urban tastebud posted a blog listing gluten free alcohol for those needing advice on choosing a vodka (click on the link.) Vodka dissolves the sunflower lecithin and makes the liquid easier to spray or apply to your pans. Shake vigorously to blend, and shake before each use. If you don’t have a spray bottle, no worries! Just add ingredients to a jar, fit the lid tightly, shake it up and you are good to go. Apply Goop with a paper towel or your fingers. BTW: the color is a bit funky, but not to worry. We have not noticed a color change to our baked goods. To Flour or Not to Flour? Shocking: we are a gluten free flour company, yet we choose not to flour our pans after applying the Goop. I don’t like the texture of the outer layer of baked goods that have been floured. We use USA Pans that are silicone coated and then sprayed with Goop. No stickage issues in our kitchen! 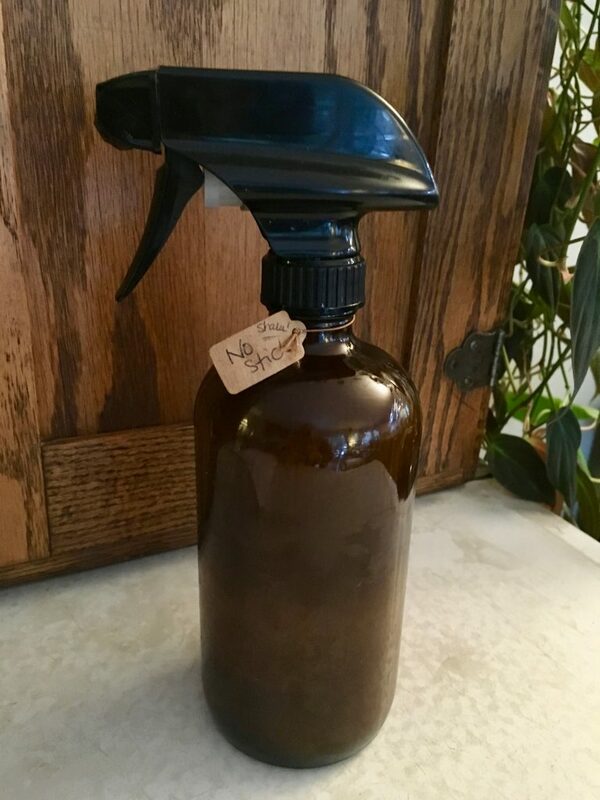 Note: We use amber colored, glass spray bottles to maintain the integrity of the Goop. Sounds funny, we know, but we’ve had no issues with spoilage after several months of Goop in the bottle. Prep: Sterilize your bottle or jar by washing in hot sudsy water, rinsing and immediately placing in the microwave for one minute. 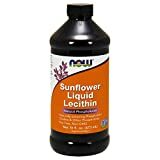 Step 1: Pour 2 fl oz or 59 ml (or more) of liquid sunflower lecithin into your container. Step 2: Pour the same amount of oil into the container. Step 3: For every 4 fl oz of mix in the container (118ml or 1/2 C), add 1 T of vodka. Step 4: Fit the lid tightly and shake like crazy for at least 1 minute. Spray or apply in a thin layer to your baking pan. Shake before each use. What’s in our bottle? 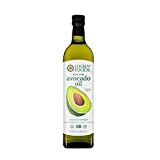 We bake so often that we use 6 fl oz (177 ml or 3/4 C) of sunflower lecithin, 6 fl oz of avocado oil, and 3 T (45 ml) of vodka in a 16 oz amber glass spray bottle. To Store: Keep out of sunlight on the kitchen counter for several months.